The Jerusalem District Court sentenced Jerusalem resident Sami Shem Tov, 69, who was convicted on 13 charges of brokering organ transplants, to three years imprisonment. Shem Tov used to "cheat those involved and endanger them while taking advantage of their financial, mental and health concerns for money," said the court ruling. 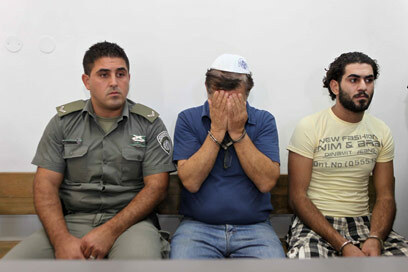 In August 2010, Shem Tov was convicted of a series of organ trade charges for his activity between 2006 and 2010. Shem Tov had acted as a middleman between recipients and potential organ donors, who he found by posting newspaper ads. Taking advantage of their inexperience, Shem Tov kept donors in the dark as to the risks involved. Using connections in his workplace, the Hadassah Ein Karem Hospital, Shem Tov set up early medical examinations for his clients and donors and then sent them to the Philippines and Ecuador for the transplant procedure itself. For his services, Shem Tov illegally received large sums, giving only a fraction of it to the donors themselves. Several months ago, he pleaded guilty to charges of exploitation, attempted exploitation, fraudulently obtaining benefits and extortion, as part of a plea bargain. In one incident, Shem Tov extorted a donor, a single mother of two, who went back on her decision when she was already in the Philippines for a kidney transplant. "The charges show that monetary reward was the defendant's main motivation, not the wellbeing of the patients that needed the transplants," Judge Rafi Carmel noted in the sentence. Shem Tov "took full advantage of the distress suffered by the recipients and donors who were pushed to the donation from financial and other troubles, and didn't spare their health or feelings." In addition to the prison sentence, the court also ordered Shem Tov to pay compensation to the plaintiffs. Shem Tov's lawyer, Attorney Roi Politi, said in response: "We find the sentence a bit severe. We shouldn't forget that behind every unlawful mediation between a donor and a client – a life was saved, where the State couldn't give a solution to those who live on borrowed time other than adding them to a list of more than 2,000 others waiting for a transplant." According to the attorney, "It would be better if the State of Israel would strive for faster solutions, rather than direct its ire at those who create alternatives." See all talkbacks "Man convicted of organ trade jailed for 3 years"